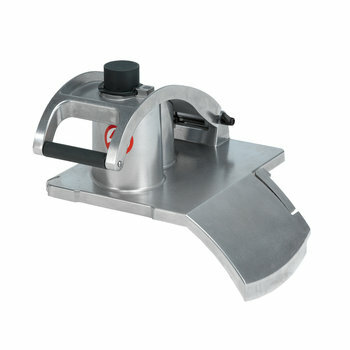 The Perfect Cut, by Sammic: Quality, productivity, ergonomics. 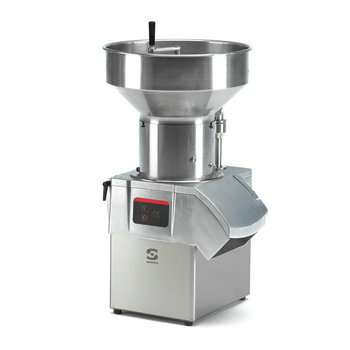 Commercial Food Processors with an hourly outuput of up to 2,200 lbs. 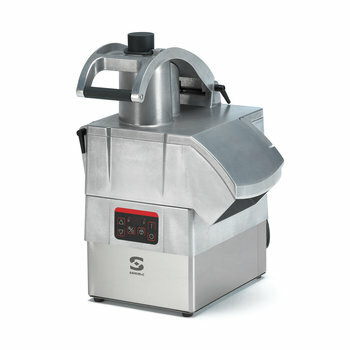 Commercial vegetable preparation machine with an hourly output of up to 1,000 lbs. / 450 Kg. 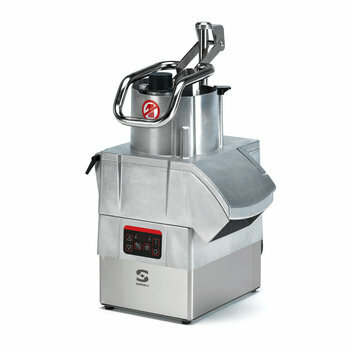 Commercial vegetable preparation machine with an hourly output of up to 1,300 lbs. / 650 Kg. 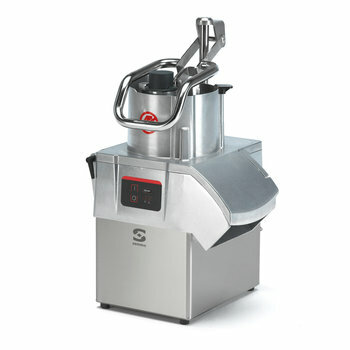 Commercial Vegetable Processor with an hourly output of up to 2,200 lbs. / 1000 Kg. with automatic hopper. 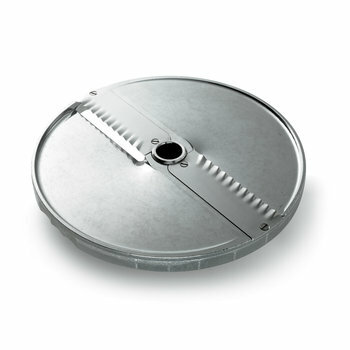 Are single or adjustable speed appliances. 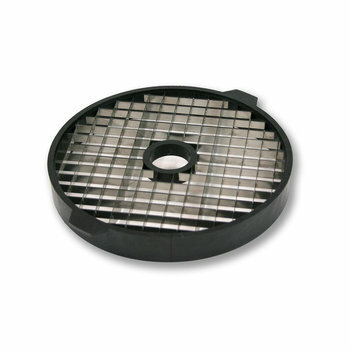 Are ideal to slice, dice, make French fries, julienne cuts, shred, grate, etc. , offering the best quality cuts. 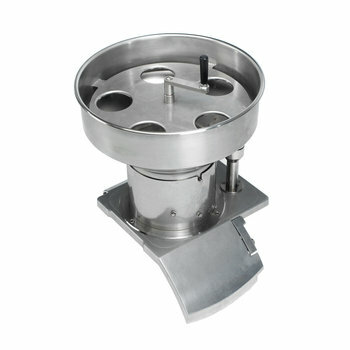 Are highly durable, heavy duty machines made of stainless steel and cast aluminum cast, all suitable for contact with food. 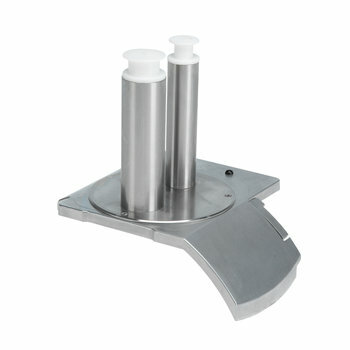 Provide with best quality cuts and dicing on the market, particularly for delicate products. Suit kitchen operations serving up to 1,000 covers per day with an hourly output of up to 2,200 lbs. 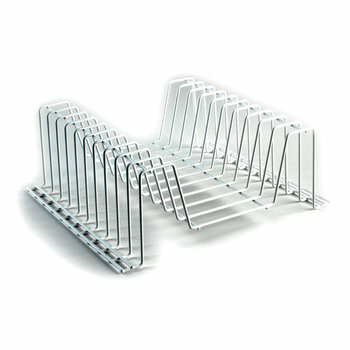 Are ideal for narrow counter spaces thanks to lateral shoot. Allow natural workflow from left to right. 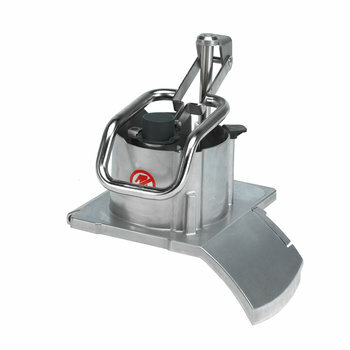 One-arm motion process with roll-on handle for low impact on elbows and wrists. Intuitive, watertight front panel, LED lit. 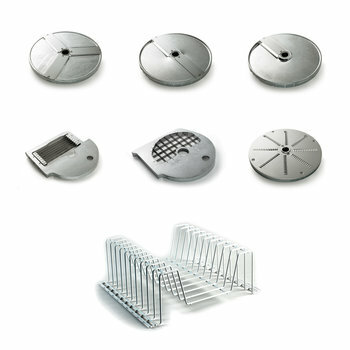 Comply to highest safety systems standards. 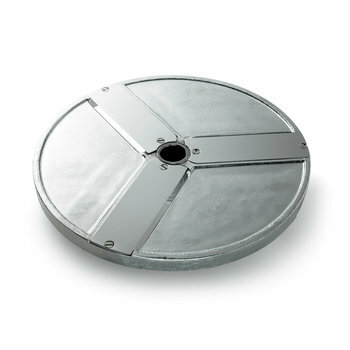 New 15/32" and 3/4" dicing. 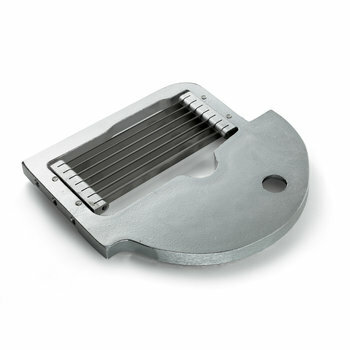 Sharper blades allowing perfect cuts, generating less liquid and offering more uniformity. Are sharper and more efficient. Include new 3/4" and 1" slices. 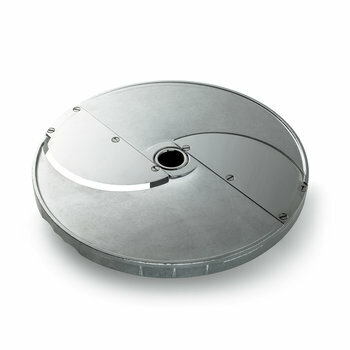 The Sammic commercial food processors are NSF-listed, Standard 8 compliant. Hourly production 300 - 1000 lbs. 300 - 1000 lbs. 400 - 1300 lbs. 400 - 1300 lbs. 1000 - 2200 lbs. 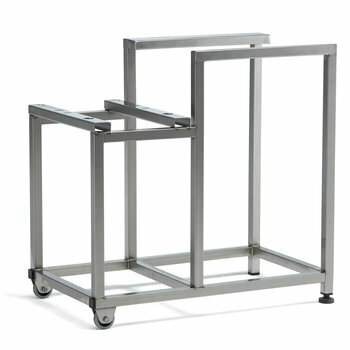 External dimensions (WxDxH) 15.4x16 x 21.4 " 15.4x16.10 x 22.32 " 15.4x15 x 25.4 " 15.4x15 x 25.4 " 17x16.5 x 30.3 "
Net weight 46lbs. 61lbs. 53lbs. 66lbs. 57lbs. 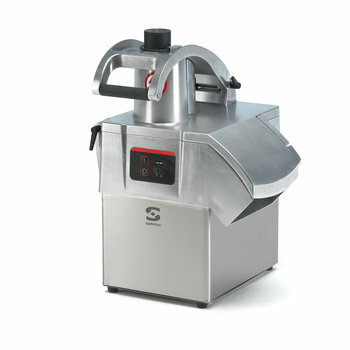 For Sammic vegetable preparation machines and combi models. 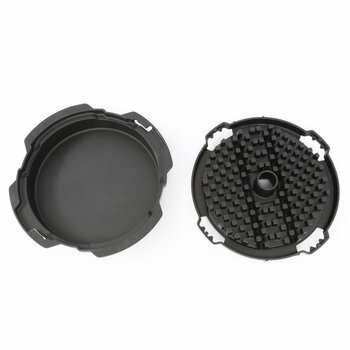 For CA-411/611 or CK-411 motor blocks. 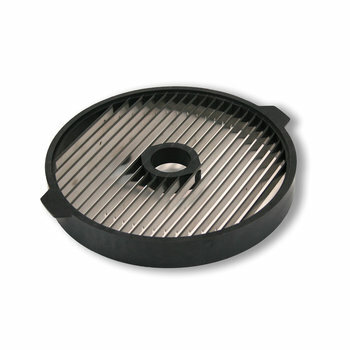 Regular slicing discs for CA-311/411/611 and combi CK-311/312/411/412. 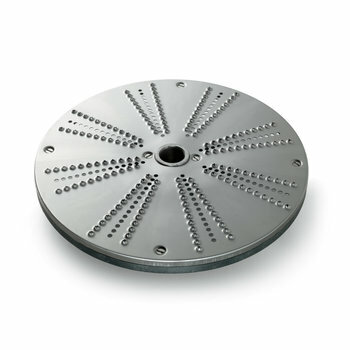 Regular slicing discs for CA-301/401/601 and combi CK-301/302/401/402. 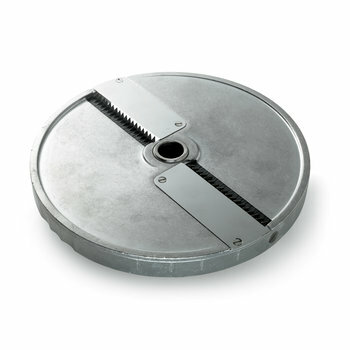 For slicing of soft products (CA / CK). 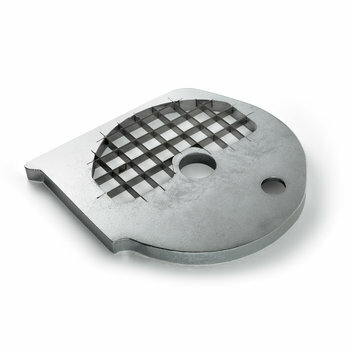 Designed to obtain rippled slices (CA / CK).